Kyle Gibson stalled the otherwise-hot Red Sox offense on Friday, and Boston's injured bullpen hurt them on Saturday. John Farrell gave Clay Buchholz possibly one of his last shots for a while in Saturday’s loss, and he allowed three runs in just an inning. Newly-acquired Brad Ziegler, now the team’s closer due to all the injuries, has yet to record a save with the team, but has thrown 4.2 scoreless innings and allowed just one hit. Also, we will have a bit of a different look from my Red Sox articles moving forward. I hope you enjoy our three up and three down. SP Eduardo Rodriguez was called up a week ago, and his stock is definitely rising. On Friday, he matched his second-most strikeouts in a MLB game, as he was a hard-luck loser with eight K’s in 5.1 innings of two-run ball against the visiting Minnesota Twins. Although the Twins strike out among the most in the league, the eight strikeouts are five more than Rodriguez had combined in his previous two starts. Rodriguez is still searching for his first home win in 2016 after having six decisions go in his favor at Fenway Park last season. The 23-year-old did win his second game of the season on July 16, as he threw seven innings of one run-ball at Yankee Stadium in a 5-2 Red Sox win. 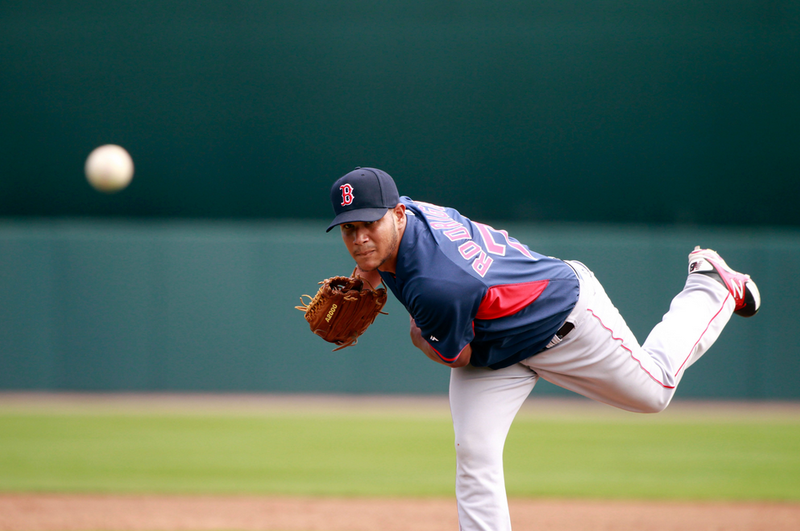 Rodriguez will take on the Detroit Tigers next Wednesday when Boston’s nine-game homestand ends. LF Brock Holt’s season-high nine-game hitting streak ended on Thursday against the Twins, but his on-base streak has continued. On Thursday and Friday, he drew walks. Holt’s July OPS is above 1.000, and on Saturday, he added two more hits in his first time at the leadoff position in 2016. He replaced Mookie Betts, who is nursing some soreness in his right knee. With 12 consecutive games in which he reached base safely, Holt is zeroing in on his season-best 16-game on-base streak. 1B Hanley Ramirez’s three home runs on Wednesday represented the first time a Red Sox hitter accomplished that feat since Kevin Millar did so in 2004. For the time being, the home runs propelled Boston into sole possession of first place in the division since June 4. Ramirez’s career night was surrounded by quite a few 0-fers, but he bounced back yet again, as hit a three-run home run on Saturday. 3B/1B Travis Shaw, who did not play in Saturday’s game, has a strikeout in each of his last 11 starts. Since having a great series against the Texas Rangers, he has just three hits and three walks in 29 plate appearances. To add insult to injury, he already has three errors this month. However, if you are looking for a bright side, two of those three hits since July 9 are home runs. SP Drew Pomeranz may have just a momentary spot on the “down” list, but the all-star deserves it after not recording an out in the fourth inning of his Red Sox debut. He allowed seven consecutive San Francisco Giants to reach base before being pulled from the game. Pomeranz’s streak of quality starts ended at four, but his team won his fifth consecutive start. Fortunately for Pomeranz, who could have been affected by the Red Sox’s long offensive innings, Ramirez had his first career three-home run game on the same evening. SP David Price’s ERA is rising again. Not only is he struggling in terms of allowing runs, but his ability to strike out batters is as well. He has allowed 22 hits to go along with just five strikeouts combined in his last two starts, and those starts were against two non-playoff teams in the Twins and Yankees. If Price is not even making it to six innings, then the Red Sox’s shallow bullpen will be forced to contribute too many innings.